Danny Tanner meets Jack Herer at the chic Castro district dispensary. All across the world, newspapers are talking about the fate of California's medical marijuana industry. Even the Irish Times covered the seven-month-old crackdown after the Oaksterdam raid, writing on April 11: "Patients with marijuana prescriptions are facing the threat that their medicinal drug of choice may soon be no longer legally available." Reading such statements may lead some to think that medical marijuana in California will be reduced to smoldering remains. The reality is both the California Constitution and state law protect access to the drug. US Attorney Melinda Haag has forced five permitted San Francisco dispensaries to move, shut down, or go delivery-only, but she also said she lacks the resources to close all dispensaries in Northern California, and said she is focusing on those close to schools or playgrounds. Twenty-two San Francisco dispensaries are open, with more in the planning department's pipeline. Elsewhere in the Bay Area, San Jose is thriving, Richmond has re-booted, and Oakland is defiant. Even sleepy Palo Alto likely will vote to permit dispensaries this fall. So when we need to shake off the reports of doom and gloom, The Apothecarium in San Francisco's Castro district is where we head. From the neighborhood to the decor to the flowers, it's among the classiest weed-buying experiences on the planet. Plus, they have a new strain named Danny Tanner, from the Nineties sitcom Full House. Cut it out! The Apothecarium sits on Market Street near the center of town. Historic streetcars rumble by. A huge rainbow flag sways in the breeze. Above, the Sutro Tower disappears into the fog. At the club, everything is clean, crisp, and deliberate, starting with the white Victorian-style building it occupies. The faintest whiff of high-grade weed blows in the breeze as the doorman checks IDs and doctors' recommendations. Sitting down and filling out paperwork, we were impressed by the consistency of the black-and-white-themed decor. The Apothecarium pops with ornate, floral-patterned felt wallpaper, black lacquered wood wall paneling, and ebony-stained hardwood floors. Abstract topographical art hung for sale. At the sales stations, gray marble countertops sported scales and inspection lamps with magnifiers. Most clubs throw their latest and greatest up on flatscreen monitors in 63-inch spreadsheets, but The Apothecarium goes all out, printing menus fresh each day and sticking them in restaurant-style menu covers. Patients can peruse them while their information is verified. Everyone waits in chairs until the budtenders call for the next customer. The Apothecarium is not a place for rushing. After a few minutes, it was our turn, and we were feeling like sativas or sativa-dominant hybrids. They tend to have the highest levels of THC, and can elevate mood. So our budtender pulled out a jar of Lamb's Bread filled with electric-green- and orange-haired nugs. Jamaican Lamb's Bread was said to be Bob Marley's favorite and this looked like the stuff. Tropical sativas grow long and thin to deal with the heat. The sweet, floral scent of the packed jar made it hard to pass up. 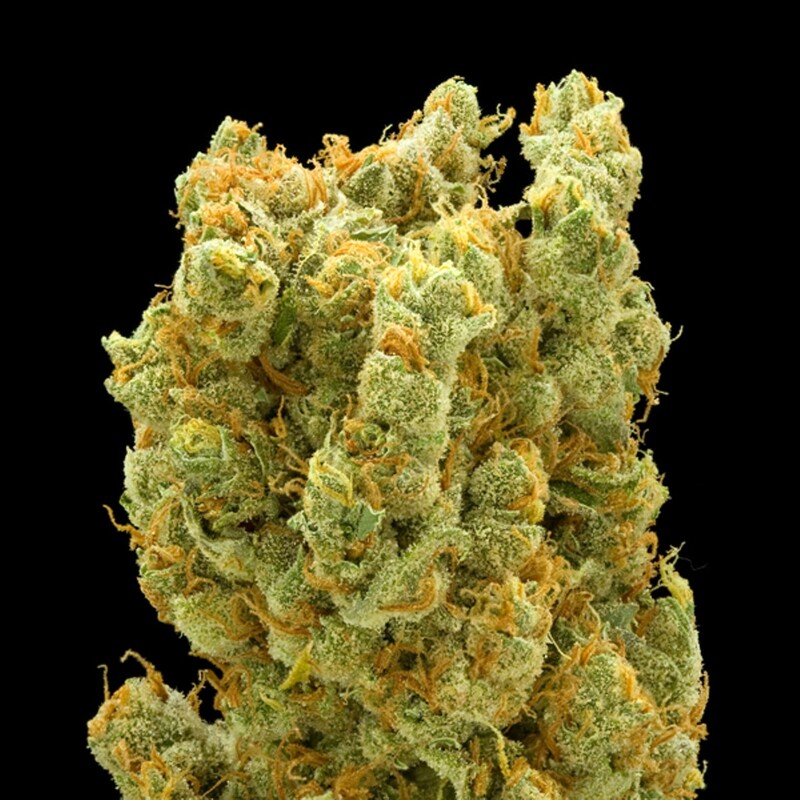 Next up was The Apothecarium's Jack Herer, a Cannabis Cup-winning blockbuster strain. The nose on it was a punch of clear, candy sweetness. "A very uplifting, positive and creative Sativa," the Apothecarium menu stated. Sold. We also examined their "Full Sun" Sour Diesel — which is cheap at $35 an eighth. Outdoor pot can look, smell, and test as good as any indoor rival, but these outdoor nugs looked a bit weathered, so we moved on. Now, we've known about The Apothecarium since it opened in June, and what really drew us back for a review was the Danny Tanner. This month, the club's online menu began including the strain at $51 an eighth. It even replaced the usual flower photo with a press picture of comedian Bob Saget from his Full House days — poofy hair, head cocked, a light smile. Full House ran for eight years right smack dab in the collective childhood of my generation. We were ready to buy the nostalgia alone. Saget has no beef with weed, and might be happy to know that the potentially trademark-violating variety is of the highest caliber, "a balanced hybrid with a relaxing yet energetic effect," the club states. "Just like Mr. Tanner, this strain can bring down the noise and anxiety, but keeps up energy to get you going during your household tasks." It's also looks like big, dark, hairy gorilla balls, Saget might say. Larger and more compact than a sativa, Danny Tanner smelled musky, woody, rich, chocolaty, and nutty — all characteristics of an indica. Its parentage isn't disclosed, but it grinds up peppery and tastes like a Haze meets a Grand Daddy Purple. Some strains smell better, but Tanner is an extremely capable dead-middle hybrid, used by those with a broad array of issues like pain, PMS, anxiety, and even ADD. Sold. We didn't even have time to get into The Apothecarium's 22 concentrates and four-dozen or so edibles and tinctures, let alone the Gentlemen's THC Sticks. A world-class shop like this requires repeat visits and a fat bank account. Debit and credit accepted. Federal intimidation, however, is not.